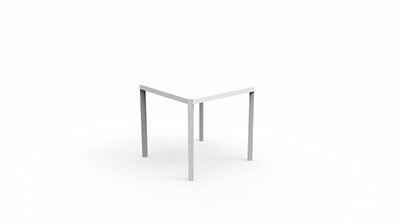 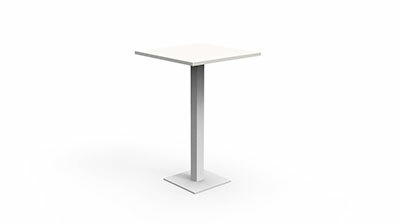 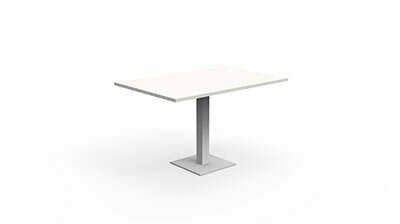 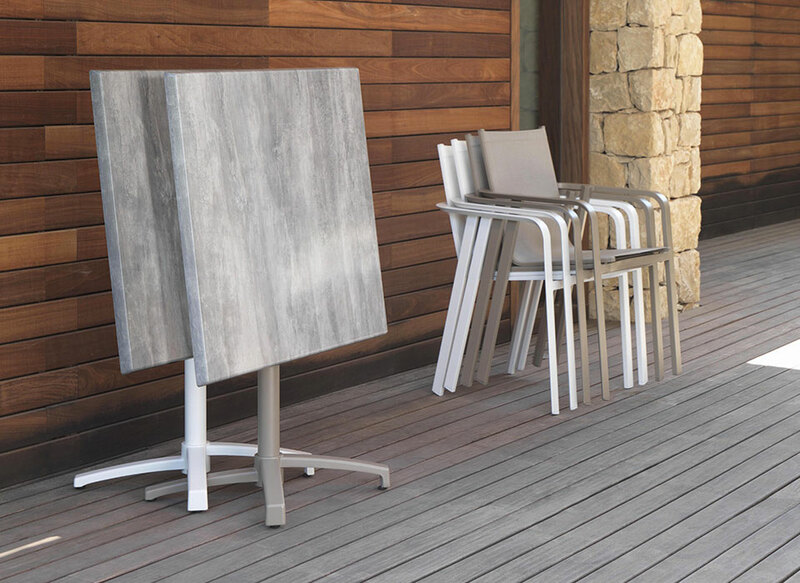 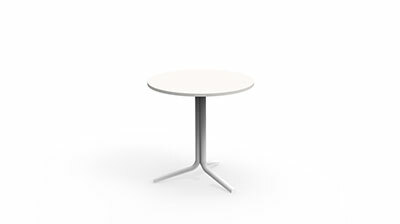 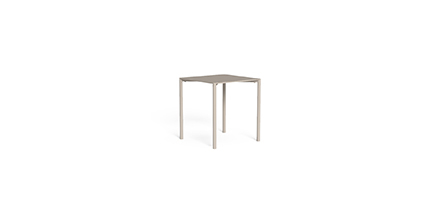 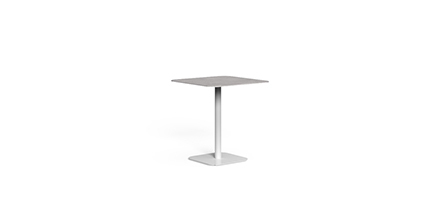 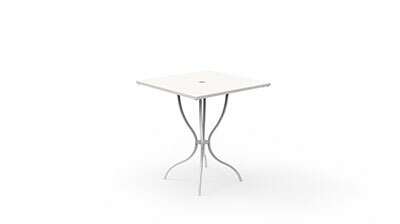 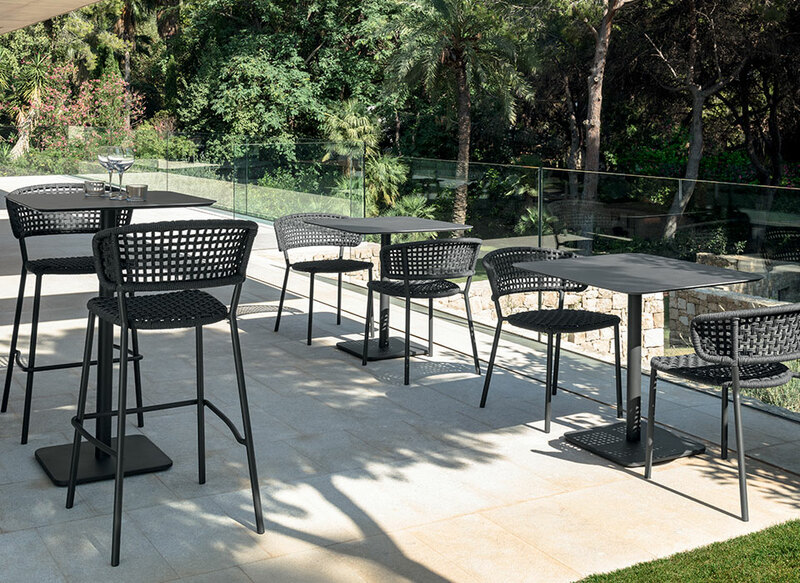 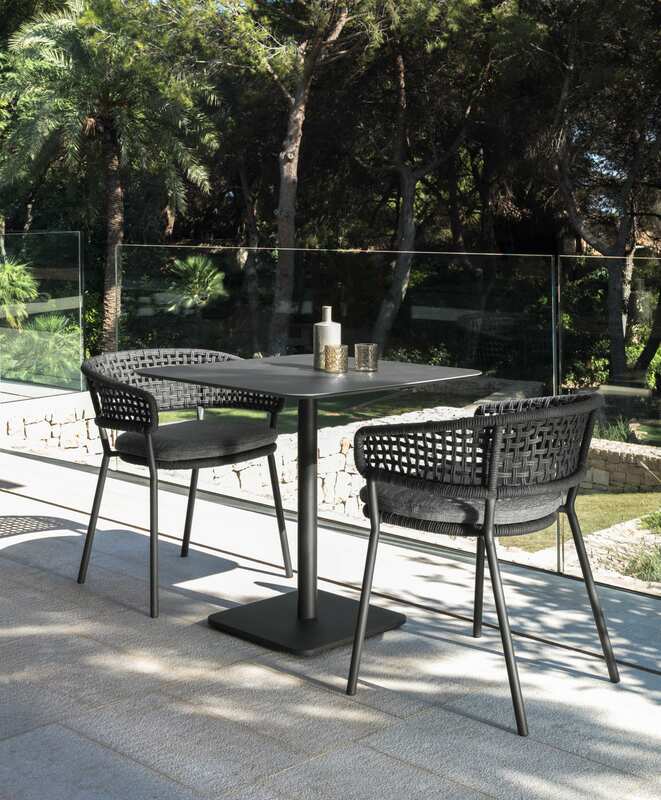 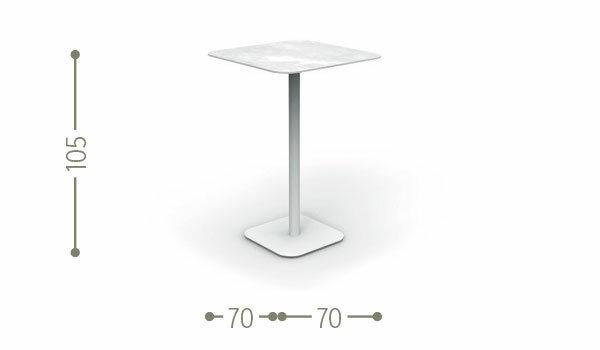 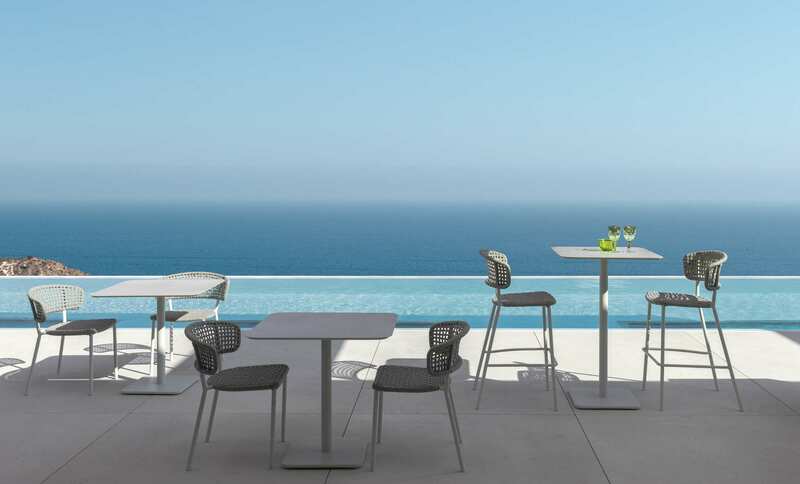 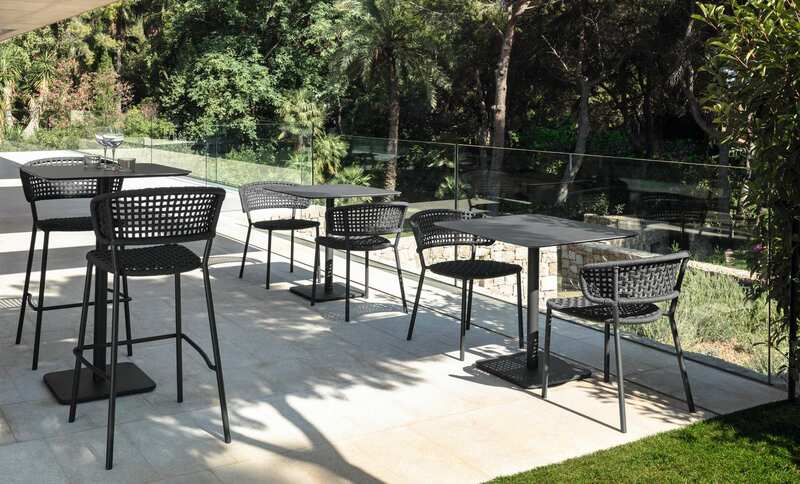 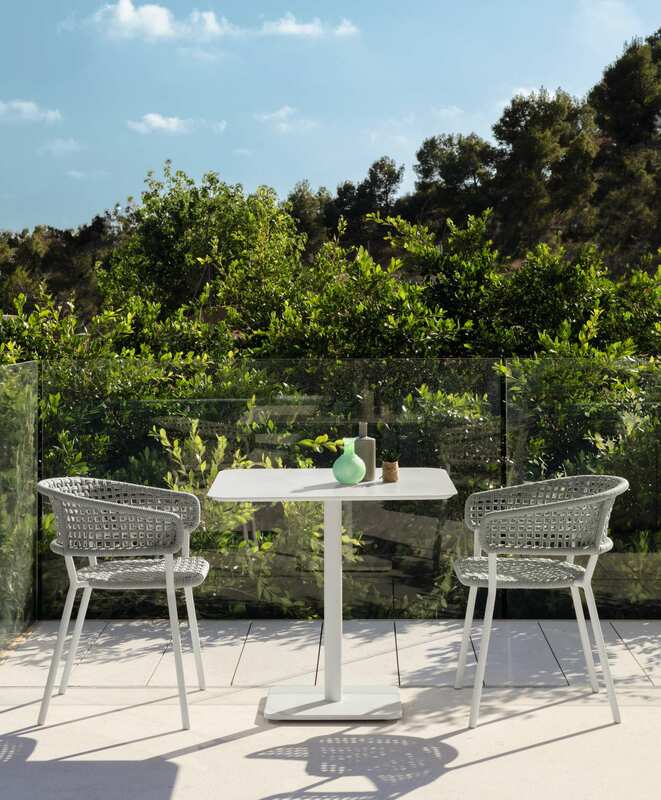 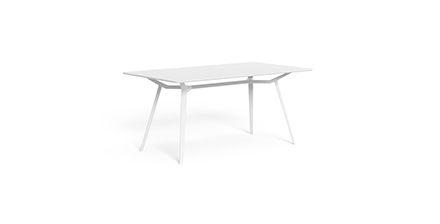 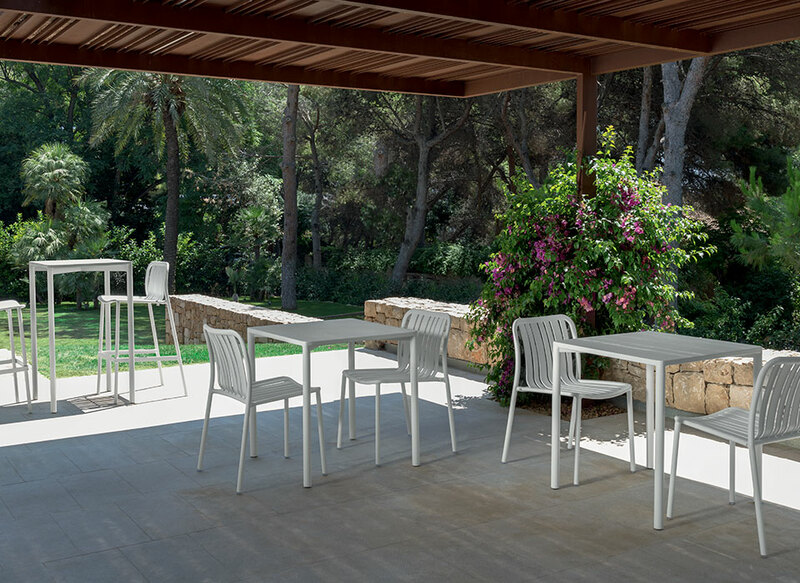 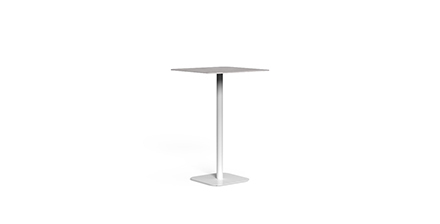 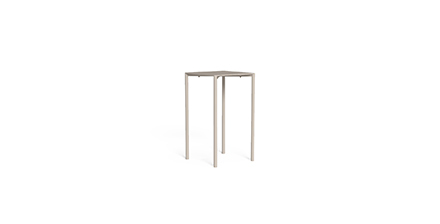 The bar table is supported by a pedestal with a square-based leg. 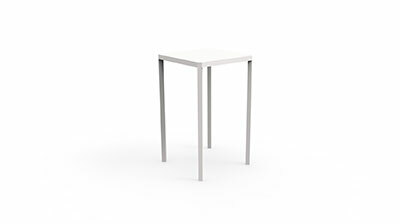 It perfectly matches with the stools of this collection. 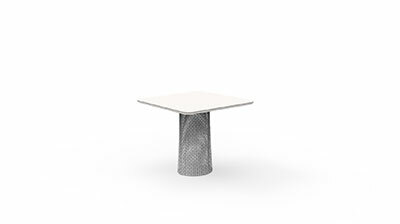 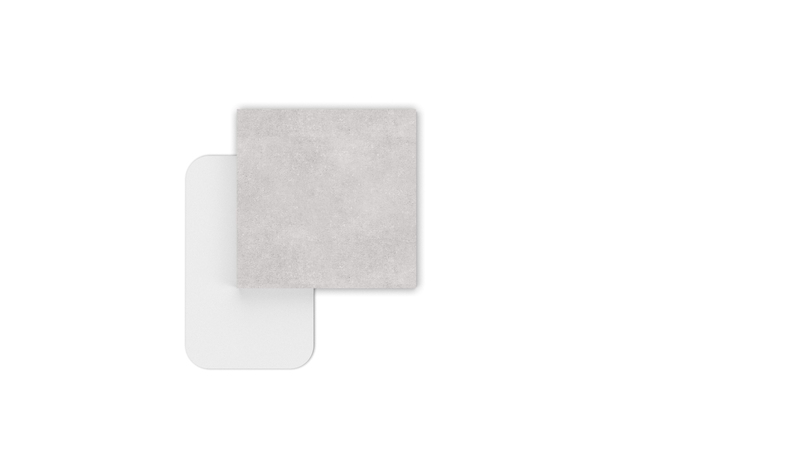 The structure is in aluminium and the top in ceramic.